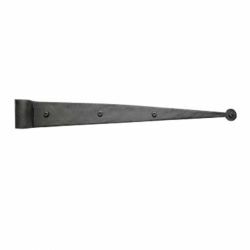 This beautiful Wrought Iron Fleur de Lis Strap Gate Hinge, can be a nice detail for adding some authentic Victorian period-style, or a Country accent to your home's decor. 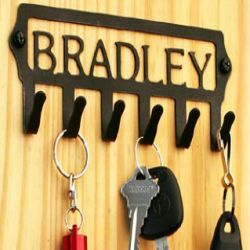 You can affordably update an existing piece of your furniture or old door, or you can add some antique-styling to your doors or a gate for a rustic look. 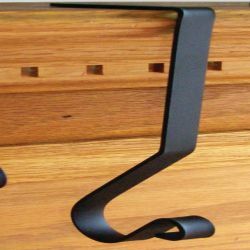 Unlike pintle hinges, strap hinges like this Fleur de Lis style, stay connected to the barrel. 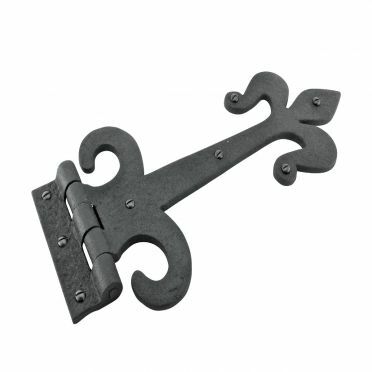 These Wrought Iron Fleur de Lis Strap Gate Hinges includes a black powder-coating which will protect your hinge for you to enjoy for many years. 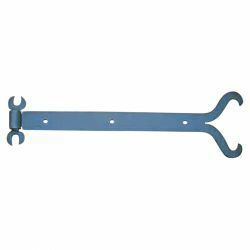 Sold individually, with all mounting hardware included...this strap hinge measures 12 inches Length, 5-5/8 inches in height, and it is 3/16 inches in thickness.